You are here: Home / Nutrition / Your search for a lunchbox snack that keeps Mum’s, Schools and (most importantly) Kids happy is finally over!!! Your search for a lunchbox snack that keeps Mum’s, Schools and (most importantly) Kids happy is finally over!!! We know how overwhelming it can be. You’re trying to find a lunchbox or after-school snack that the kids love but is also nutritious, low in calories and 100% natural with no added sugar. Imagine if there was such a snack that also had added nutritional benefits such as being a source of calcium and high in fibre! Imagine no more! We all know that feeding children a healthy balanced diet can, at times, be difficult especially if you have a fussy eater. Finding a nutritious snack can be extremely important in filling nutritional gaps in terms of a child’s overall diet. For example, if you know your child is not getting calcium because they aren’t a fan of milk, providing a calcium-rich snack can be a great way to fill this gap. 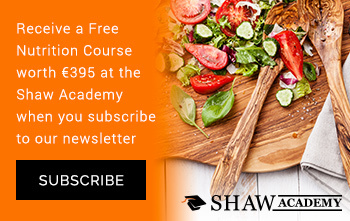 Snacking is now an integral part of our diet and eating nutritiously balanced snacks can keep us full between meals, help fuel workouts and power our brains. Always look for a snack that contains natural ingredients where possible, more than 6g of fibre per 100g and which has functional benefits (such as a source of a vitamin, mineral or protein). 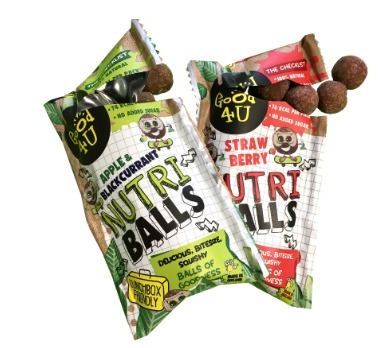 Good4U have listened to parents and kids and have created delicious Nutri Balls in Strawberry and Apple & Blackcurrant flavours. These nutritious, portion-controlled snacks are perfect for busy kiddies on-the-go and are lunchbox friendly. They contain no nuts, no gluten and no dairy while also providing fibre to keep digestive systems healthy and 21% of a child’s RDA of calcium. So that’s Mums and Kids but what about Schools? Well Nutri Balls also fall well within Schools’ Healthy Eating guidelines making it a clean sweep! Nutri Balls are now also available in multipacks of 5 in Tesco stores nationwide at €3.75 so you can stock up on nutritious, affordable snacks for everyday of the week.